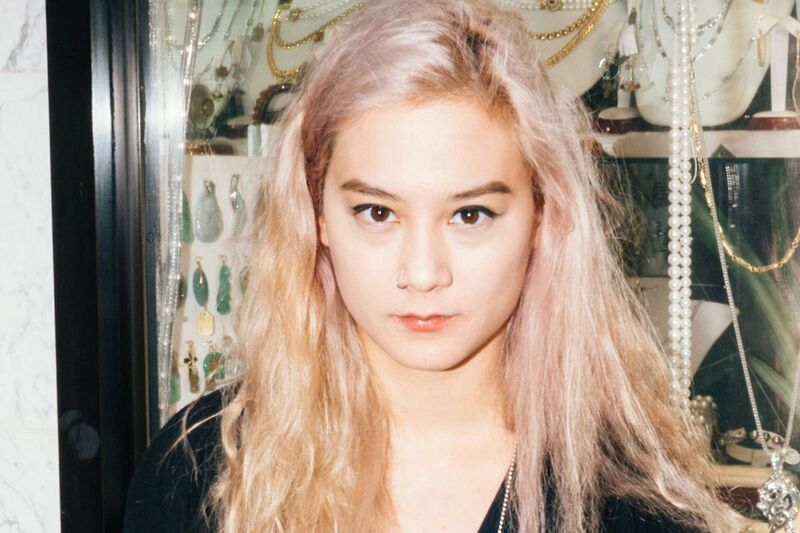 Michelle Zauner goes solo with Japanese Breakfast. Few local musical artists have worn as many masks or shed as many skins over the last decade as Michelle Zauner. The singer, composer, and multi-instrumentalist - a Eugene, Ore.-to-Philadelphia transplant, who turns 27 today - has fronted the now-defunct indie-synth-pop Post Post, the lyrically challenging emo-core Little Big League, and now her softly buzzing synth-and-sequencer-driven Japanese Breakfast, a solo project releasing its first official album, Psychopomp, Friday with a showcase at Ortlieb's. Though no act sounds like the other, what unifies each is Zauner's adventurous musicality and her constant reach for smart, subtly funny texts involving God, gender, hard sexuality, psychology, family, and death - occasionally all at once. Thoughtful rumination combined with risk is her stock in trade. "I like to write a lot and am good at being a nonperfectionist," she says. "That's one of my strengths. I can forgive myself." "She was not a career woman or artist," Zauner said of her mother. "But [she] had a real passion for her family and living well - an immigrant parent, extremely progressive for her time and upbringing." She was from Korea. Zauner speaks of the joys of being raised by a mom for whom English was a second language ("I have no knowledge of American idioms") and of writing stories for her solo project as opposed to angsty riffs on youth for Little Big League. The narratives for Psychopomp revolve tenderly around Zauner's return to Oregon before and after her mother's 2014 death from cancer. "I was in this house in the Eugene woods with my dad, supporting him after losing his wife of 32 years," she says. "There were things he couldn't do, like put her clothes and makeup away." This difficult experience left Zauner feeling very much alone, and it is communicated through songs such as "In Heaven," where forlorn messages about moving one's possessions into a basement are balanced upon an angelic bed of soft synthesizers. "There is nothing more satisfying than conversing with yourself in song," Zauner says. While Psychopomp's "Heft" (revised from Little Big League's EP Where Is My Great Big Feeling) peeks behind death's door, "Triple 7" has a potent carnality, and "Rugged Country" looks at bereavement without belief in God - "how to negotiate all that while trying to figure out what sort of spirituality you want to have in order to manage your grief." Other Psychopomp moments, such as "Everybody Wants to Love You" look at past abusive relationships through the lens of country music heroines like Tammy Wynette rhapsodizing about standing by their men. "I came to Pennsylvania when I was 18 to attend Bryn Mawr College," says Zauner. "I knew I wanted to attend one of the Seven Sisters colleges, to surround myself with other strong women." She thought everyone there would be in "rrriot girl bands creating cool zines," which was not the case. But she stuck it out and made a scene for herself, starting with Post Post and Little Big League - the latter a band with a future and a label until Zauner's mother's illness. "It uprooted my life," she says, "and I left my band, my partner, my home, and my job." Little Big League is not officially done, but each member is doing other projects. Given Zauner's need to constantly work, the solo Japanese Breakfast was inevitable. "In Little Big League, I blended in, became androgynous, part of a democracy, though I wrote the lyrics and most of the song structures. I think I wrote from a male perspective there. Japanese Breakfast is all me, rooted in a female voice," she says. "I just got braver, allowed myself to tell more of my own stories. It's like having my mother on the cover. . . . That's my identity. You don't see that face very much. It's just so sweet." Japanese Breakfast, with Littler and Myrrias, 9 p.m. Friday, $8-$10 at Ortlieb's, 847 N. Third St., 267-324-3348, ortliebslounge.ticketfly.com.